It is with great excitement that Happy Help announces its first pilot test! The pilot project will be evidencing an effect of the activity tool Happy Touch. Originally Happy Touch was a Masters project at Kingston University London, designed for stroke patients suffering hemiplegia. Now Happy Touch is scaling to deal with other types of citizens; Children with ADHD and autism. The design of the test is made in collaboration with anthropologist Stine Louring Nielsen and contains a guide for observation. The observation will be made of Mette who is a teacher at a pre-school class for children suffering ADHD and autism. 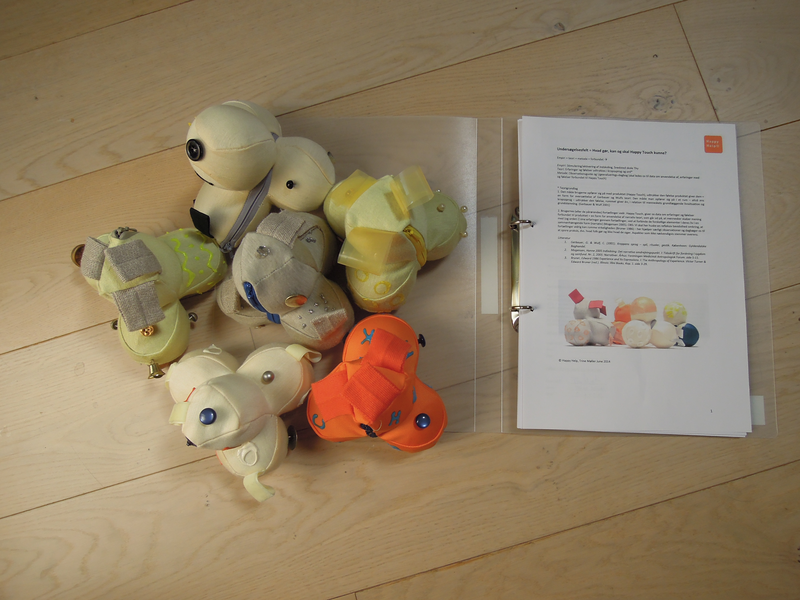 Mette has also taken part in the design of the pilot project tools, as she herself is a mother of a child with autism. The tools will be used in learning environments and be given to the children who is 6-9 years of age. The students will start their first year of school, touching, playing, squeezing, throwing or making them calm by sitting and cuddling the textile tools in stressed situations. The pilot test will also include parents and relatives, with the chance to comment on the effect or non-effect of Happy Touch. We look forward to publish more information on how the children will interact with the activity tool!